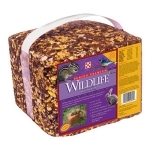 We have a wide selection of Winter Woodworks bird feeders. Corn and apple flavor. 14% crude protein. Crude fat. 25 lbs. 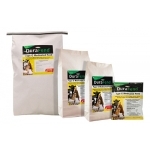 Mazuri Waterfowl Breeder Diet contains biologically available nutrients to enhance breeding performance, egg numbers, fecundity and chick viability for ornamental waterfowl. 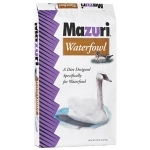 Mazuri Waterfowl Starter provides the correct protein level in a high-vitamin diet for newly hatched and adolescent birds. 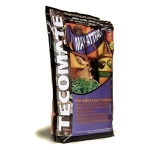 Provides the high nutrient density diet needed to meet rapid growth requirements. Formulated for Maximum Fall Attraction. 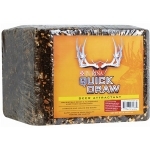 Perhaps the best hunting plot blend ever yet also provides critical 3-season nutrition all the way through late spring. 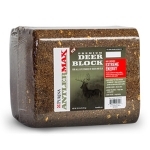 Deer love it! Explosive fall growth. 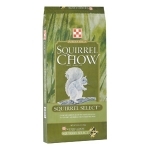 Unprecedented 50% legumes and chicory. Great value. A favorite of turkeys. 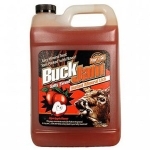 Buck Jam is a gooey gel-like mineral lick that is jam full of sweet fruit flavor and minerals. 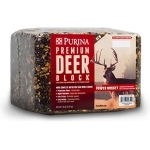 Deer are attracted instantly to the Buck Jam site, where they will begin licking and enjoying the minerals at once. 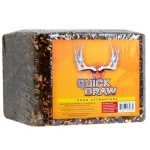 The intense aromas attract and are reinforced by a flavor that keeps deer coming back... time and time again! 32 oz. field spray is a human odor suppression system using advanced biotechnology. Science has proven that enzymes eat bacteria; bacteria is what causes odor. Our scent suppression products use live enzymes to smoother odor creating bacteria. This blend can take the heaviest grazing pressure, and as a perennial, it will keep producing for years. And, turkeys love it! 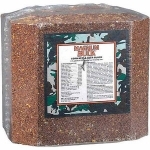 Monster Mix grows and attracts monster bucks like nothing else! You can build your management program around this stuff! 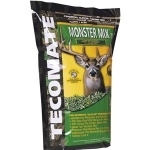 Packed with world-class legumes plus loads of the forage sensation chicory, Monster Mix comes as close to being the perfect year-round food plot mix as anything on the market.